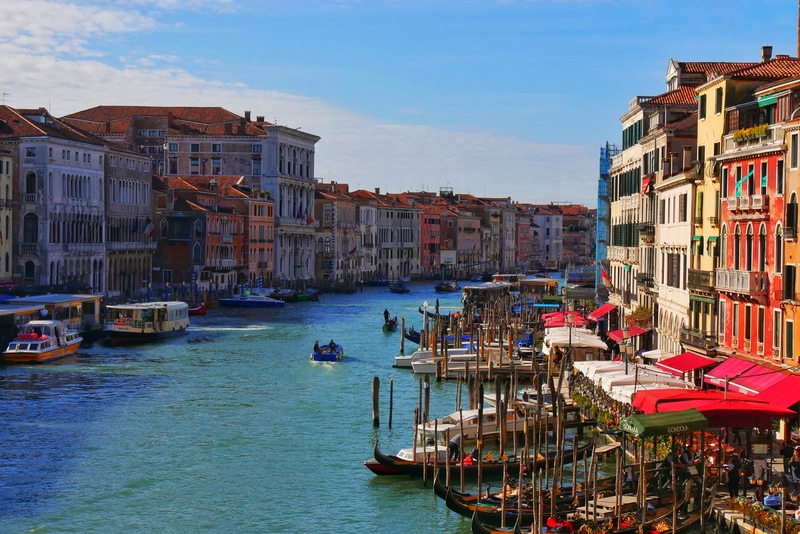 Venice is truly a wonder to behold and it exceeded our expectations consistently and delightfully. It felt like the most realistic theme park ever, with an unexpected sight around every corner. We enjoyed walking over all the bridges and down all the winding, maze-like sidewalks. We ended the day with a themed rendition of an 18th century chamber concert with violins, cellos and an harpsichord. They played Vivaldi’s Four Seasons and Pachelbel’s Canon. What a wonderful set of pictures! You’ve definitely captured the colorful beauty and iconic images of Venice. Love the smiles and joy on your faces! Thanks!! Glad all that came thru in the photos. We got some gems for sure. Looks like the recent flooding did not impact your Venice walking adventure? We really lucked out and got the one sunny dry day. You can see the San Marco Piazza is dry in the morning around 10 am when we walked thru and then flooded again at night on our way to dinner around 6:30 pm. Today it rained again … So we stuck close to our apartment … You’ll have to read my next blog to find out more. OMG! A photographers dream come true city! These pictures are exquisite! I’m so glad the weather cooperated. Thank you for sharing Chris. Now I feel like I’ve been to Venice!